OTRSavings has been establishing relationships to provide trucking fleets and companies with the best possible discount solutions to their Over The Road needs. However, we not only care about drivers, fleets, and customers, we also care about our environment. It is a fact that in your daily business, fuel will be one of your major expenses. The diesel fuel savings package is designed to allow fleets the ability to save money on their fuel consumption and help to fight carbon emissions. While we all want to do our share in helping the environment it is not always easy to find the time or a cost effective solution given today’s economic conditions. Save 5 - 15% Right Now! When you sign up for the OTRSavings fuel savings package you will save from 5% - 15% of your fuel consumption. This is not test lab data but actual readings from our customer's engine print-outs! These were installed from 2 months and up to 18 months of savings! With the OTRSavings Diesel Fuel package you will save at least 5 % - 15%+ of your fuel consumption which will help offset the CO2 produced. This will help your company to go greener and could help you become part of the US EPA Certified Smartway™ program. OTRSavings has obtained these numbers from actual engine printouts of current customers. We do not depend on tech sheets and controlled test environments. 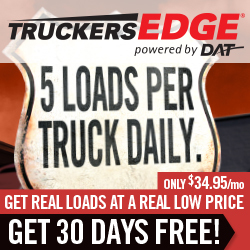 You can save between 5% and 15% of your fuel consumption based on trucks running in all different directions; flat land, mountains, tailwinds, and headwinds! The actual diesel fuel savings are calculated starting from 2 months up to 18 months but your savings start immediately. Just another way OTRSavings is doing our part to make you a more efficient business. Reduce your emissions from the base level - No more idling or trying to compensate through idle air discounts! Contact us today. 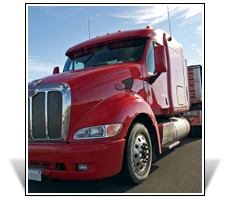 OTRSavings is a company offering discounted services and diesel fuel rebate programs for truck fleets and transportation businesses. Whether you are looking for diesel fuel discounts, a new diesel fuel card program, discounts on tires, finance and factoring discounts, or discounts and rebates on new and used truck sales for your trucking business - OTRSavings is the premier discount provider. Serving Texas, New Mexico, and Mississippi, we are happy to offer fuel analysis programs to trucking companies looking to save, tell you if you are getting the best GPS tracking service for your trucks, even find your trucking business great deals on road side assistance! For all your Texas, Mississippi, and New Mexico trucking discounts, contact OTRSavings today!